Echinoderms (Gr. 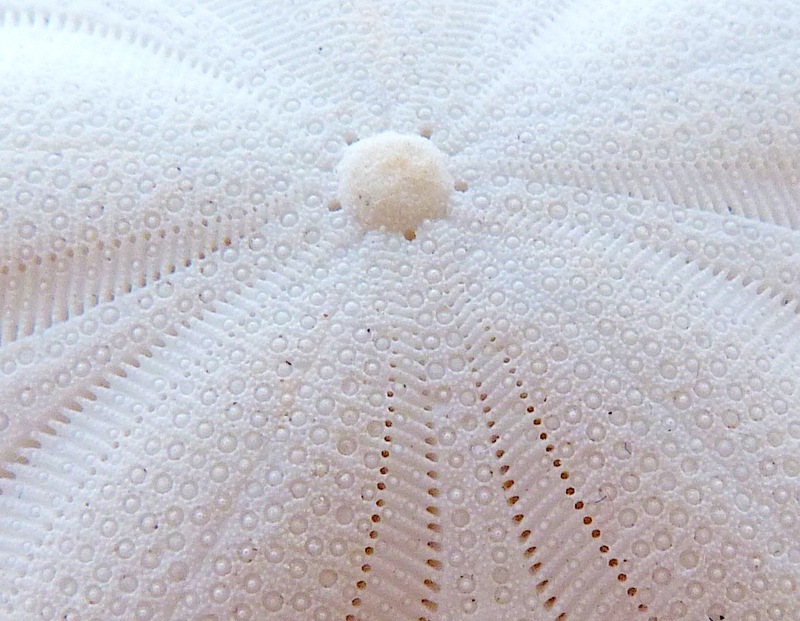 ‘Hedgehog Skin’) comprise a large variety of sea creatures characterised (mostly) by radial symmetry. In a nutshell a creature with radial (as opposed to bilateral) symmetry can be divided into equal portions from the centre, like a cake. It has no left or right side and no definable front or back. 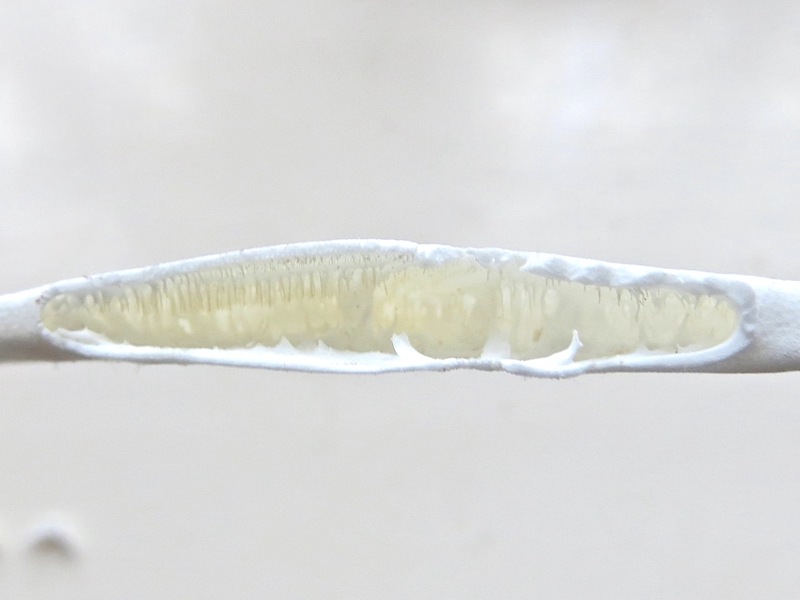 It is multidirectional from the centre, where the mouth is located. 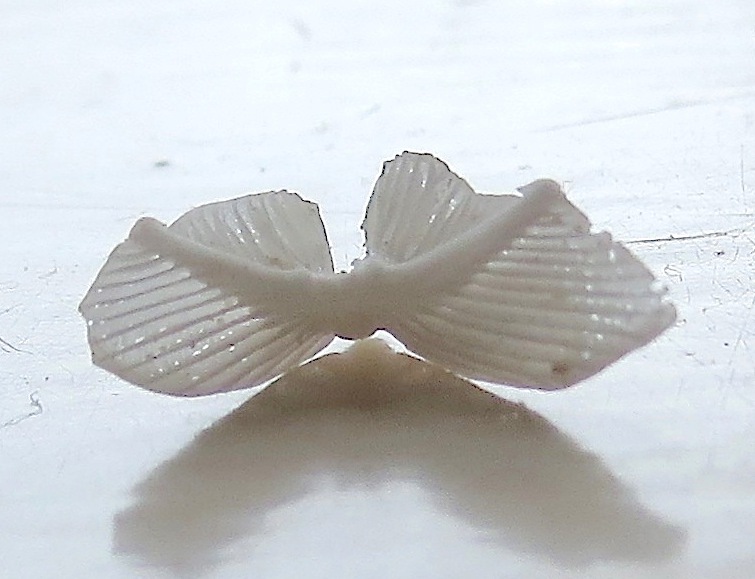 It obviously has a distinct upper side and an underside, but that has no bearing on this form of symmetry. 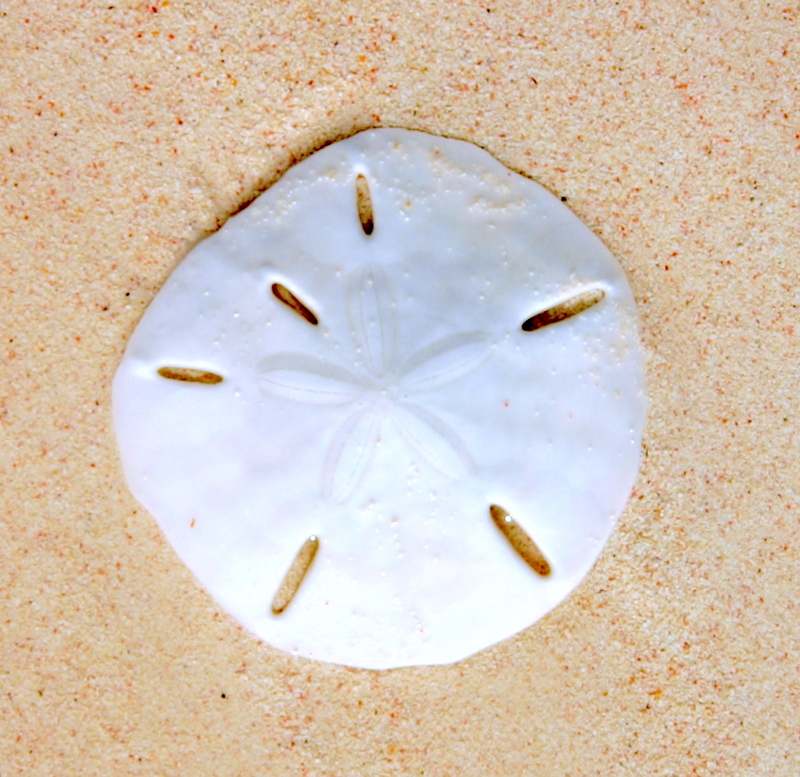 Within the family of radially symmetrical animals, echinoderms (starfish, sand dollars and sea urchins) are unique in having five-point radial symmetry. These are the creatures you are most likely to come across in Abaco. There are two particular aspects of dollars and biscuits that merit a closer look (made more difficult by me stupidly taking photos of white things on a white background). I’m sure all Bahamians know or are aware of at least one version of the famous ‘Sand Dollar’ poem, in which the various characteristics of the test (the skeleton of the creature) are given religious significance. 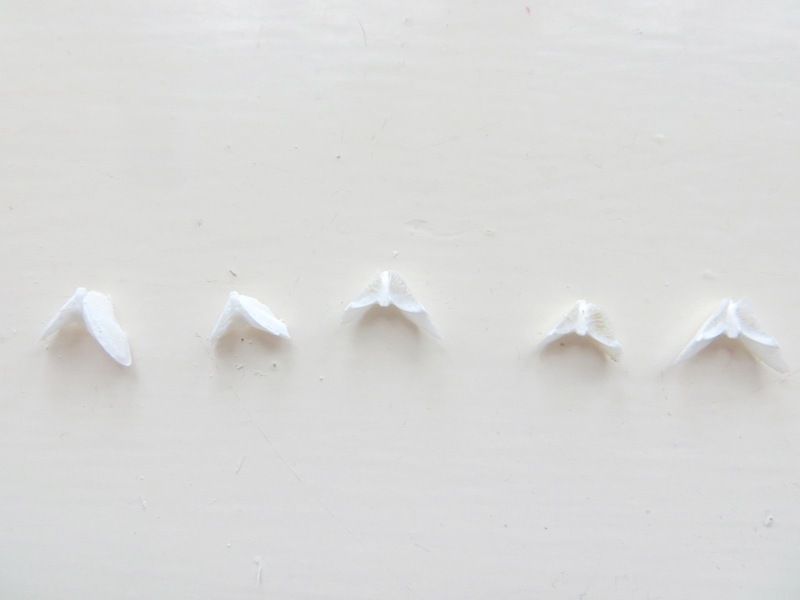 One verse of the poem may be puzzling: “Now break the centre open And here you will release The five white doves awaiting To spread good will and peace”. 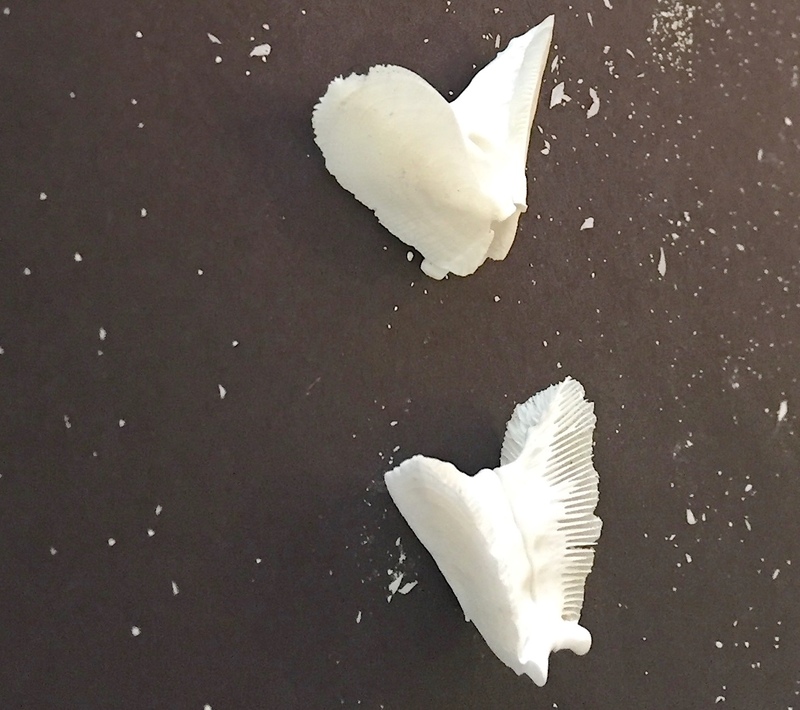 A few years back, Senior Granddaughter was looking at some Abaco sand dollars I’d given her for her growing collection of shells. She picked one up, shook it and it rattled. 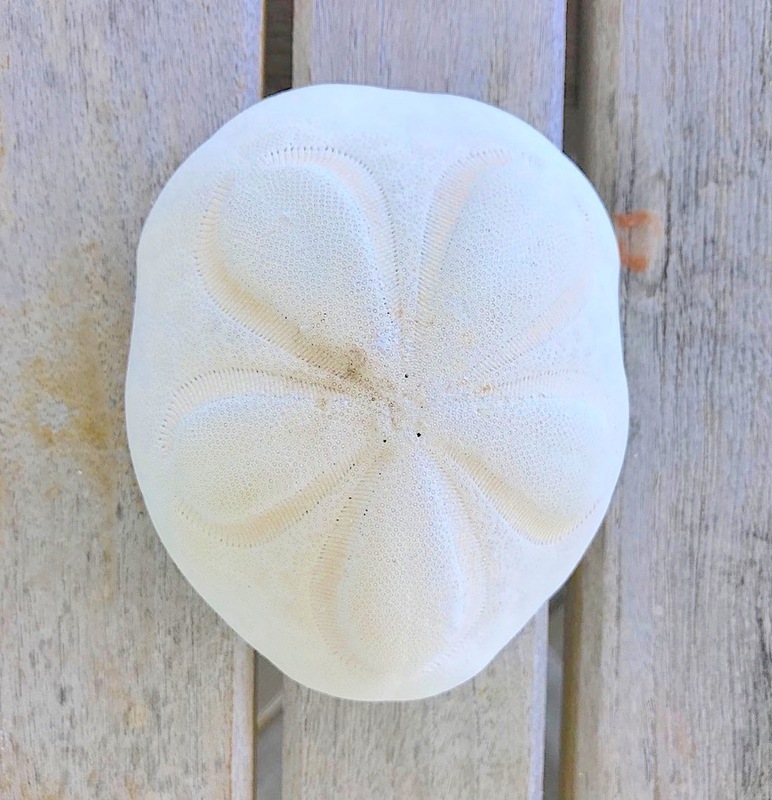 She said a friend at school had told her that a rattling sand dollar has ‘doves’ inside it, and asked if we could break it open and see. I’ve learnt that it is useless to argue with her – she has the tenacity of a trial lawyer – so we did. This is what we found. The image below, from Pinterest, shows the ‘mouth’ with its dove-parts intact, in an arrangement called ‘Aristotle’s Lantern‘, a five-sided globular structure that supports the mouth and jaws of an echinoderm. Florida has an unofficial but proposed State Fossil, the ‘Sea Biscuit (Eocene Age)’. I didn’t know it before, but it turns out that more than 40 US States have State Fossils. Whatever next? State Bacteria? State Viruses? SO HOW OLD MIGHT A PETRIFIED BISCUIT BE? 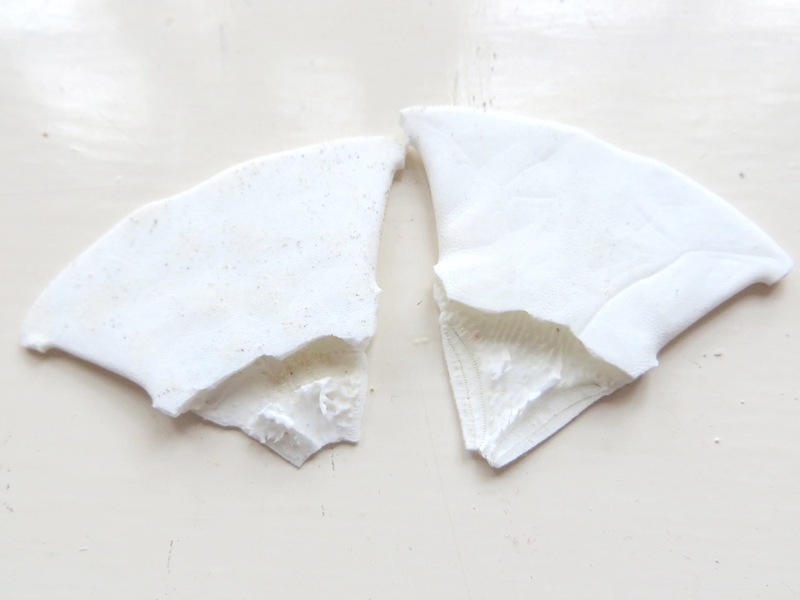 The fossil biscuits I have looked at, from Florida to Madagascar (see small image above), are said to come from three specific historic epochs – from the oldest, Jurassic (145m – 201m years ago), to Eocene (34m – 56m) and Pleistocene (0.01m – 2.6m). By all means. Here is an excellent Geochart that gives an idea of the time span. A Jurassic sea biscuit would be more than 145m years old. This chart also helpfully helps avoid confusion with the Eon Era Period Epoch ordering. All photos ‘in-house’ except the Delphi biscuits, Clare Latimer; & the single biscuit Rhonda Pearce; Sand Dollar poem on Postcard, Dexter Press; the Geochart was in my ‘useful chart photos’ folder but I can’t now find the source. I did try. 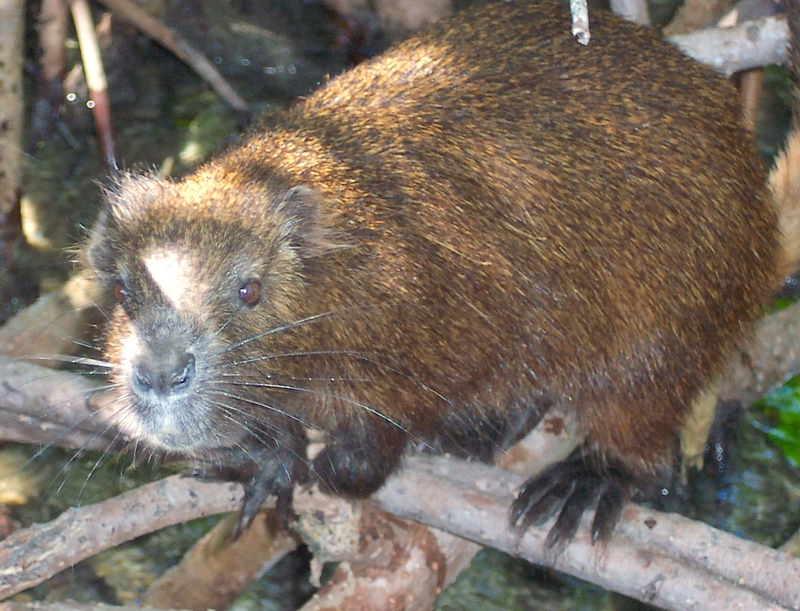 The Bahama hutia (Geocapromys ingrahami) has the distinction of being the only indigenous land mammal in the Bahamas. Historically found on a number of islands, the species is now confined to very limited locations. 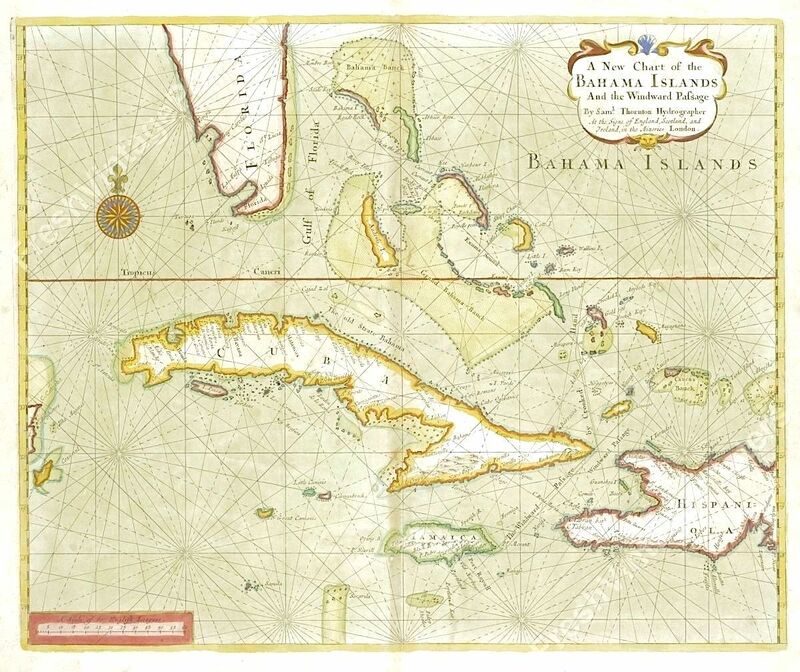 Abaco is, sadly, no longer one of them; they are officially shown as extirpated here from about 1600. 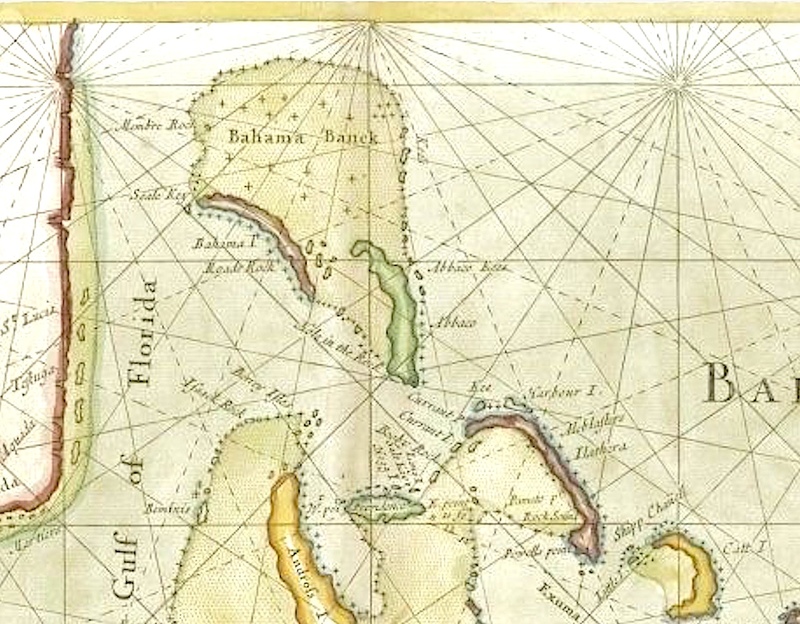 Hutias had been recorded on Great Abaco by early explorers from Europe, but their survival was already threatened by hunting and land clearance as the human population expanded. 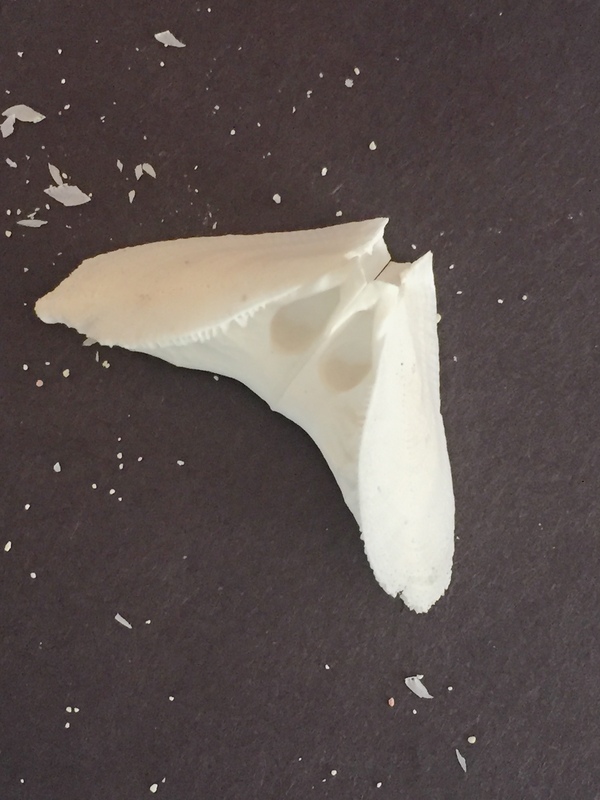 Further evidence of their long-term existence on Abaco – prehistoric, even – comes from research carried out by divers in the land-based Blues Holes. SAWMILL SINK has been a particularly rich source of the remnants of early creatures, including well-preserved skeletons, carapaces or other remains of crocodiles, turtles, birds, bats – and hutias. These date from the Pleistocene epoch of the Quartenary period, spanning roughly 2.5m years and ending some 12,000 years ago. 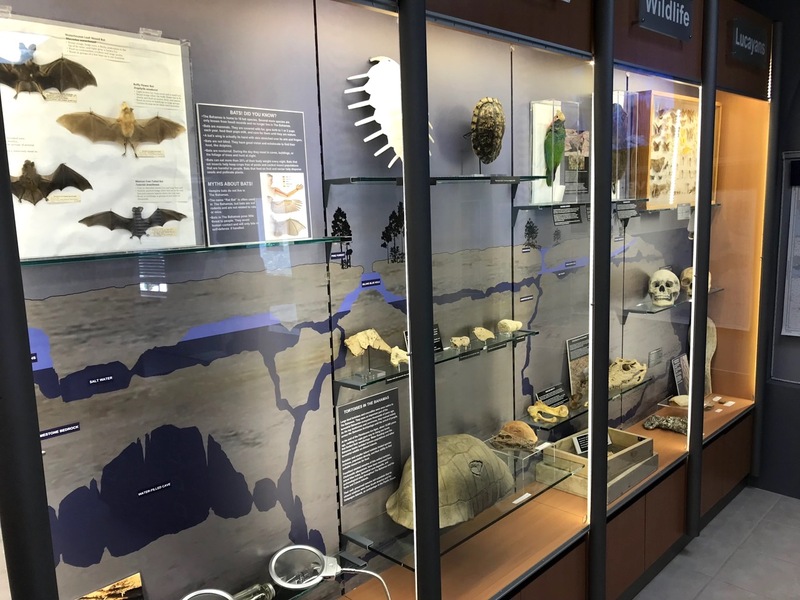 You can see some of these treasures in the wonderful Natural History Museum at Friends of the Environment in Marsh Harbour. 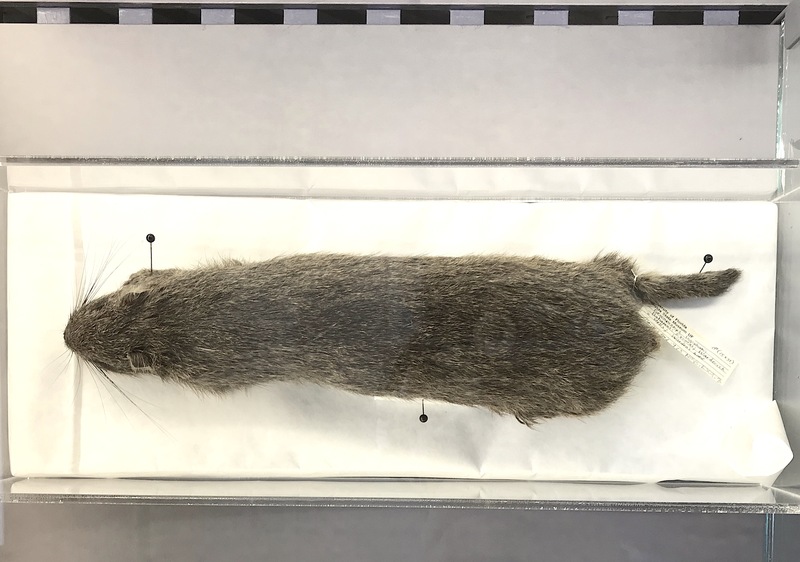 The population of the extant Bahama hutia species Geocapromys ingrahami became so depleted that by the 1960s they were considered to be extinct. Then in 1966 a colony was discovered on East Plana Cay. 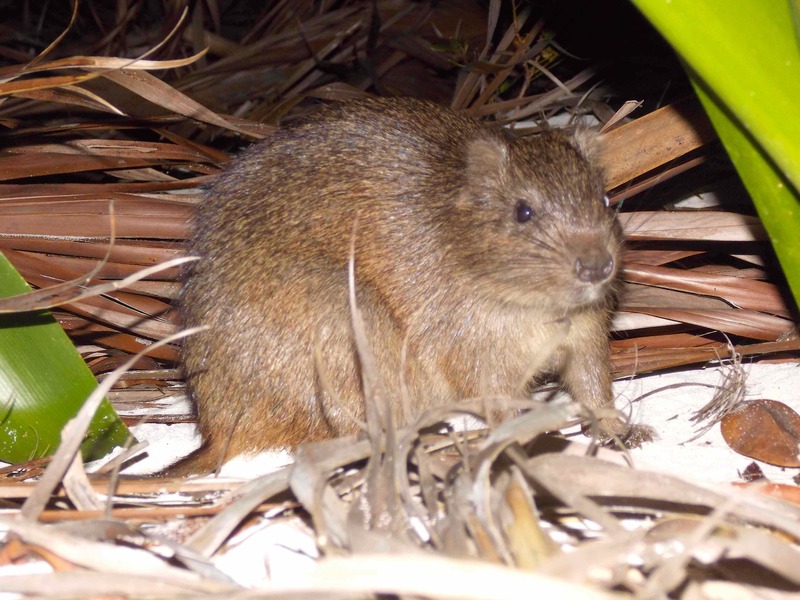 Some have since been relocated (see below) and the overall population is now confined to a handful of locations, for which reason the Bahama hutia is IUCN listed as vulnerable. All the usual man-caused threats to their survival apply, as well as predation by dogs and feral cats. One place to find them is in the Exumas, but because they are mainly nocturnal creatures and there are few of them, a sighting is a rare event, let alone getting a decent photo op. The terrific header image and the second image were taken by teenager Cole Fiechter while on a sailing trip with his parents and brother in the excellently named ‘Truansea’. 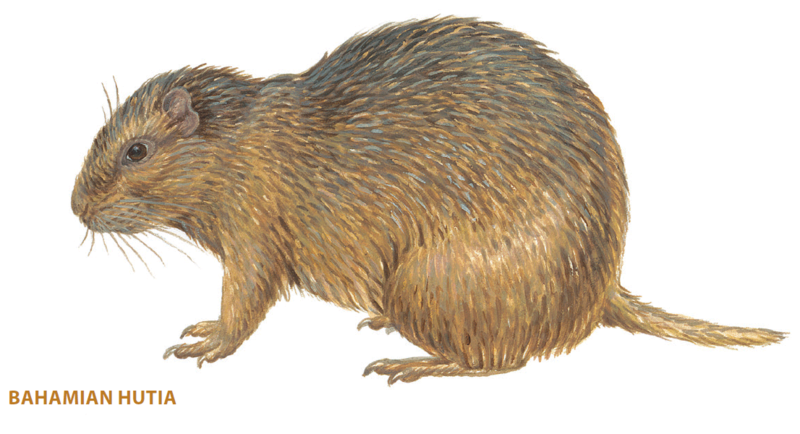 On the beach of the Exumas Land and Sea Park at Warderick Wells, they encountered “a guinea pig with a rat’s tail”: a hutia. Cole’s photograph will hopefully grace the forthcoming Field Guide to the Natural History of the Bahamas, now in the late stages of production, and with which I am peripherally involved. 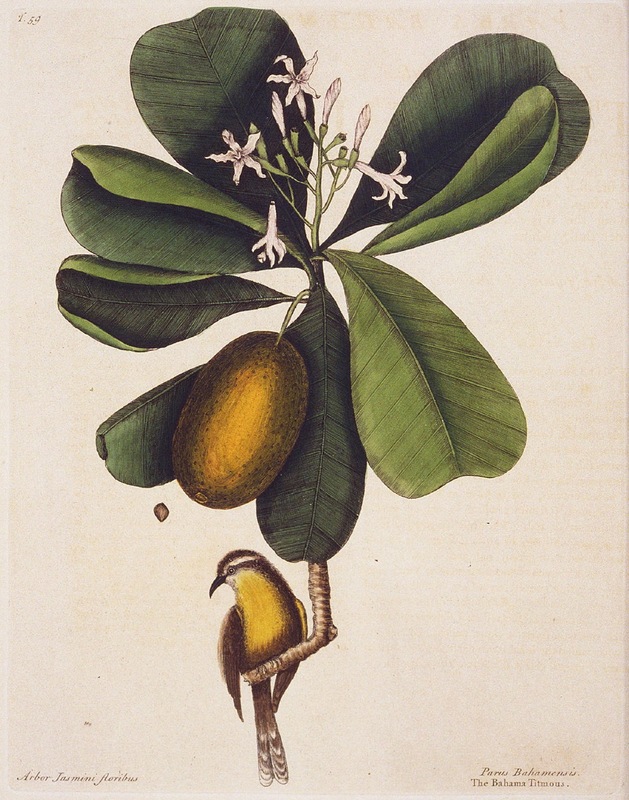 The BAHAMAS NATIONAL TRUST notes that “Bahama hutias occur naturally only on East Plana Cay (located between Acklins and Mayaguana). 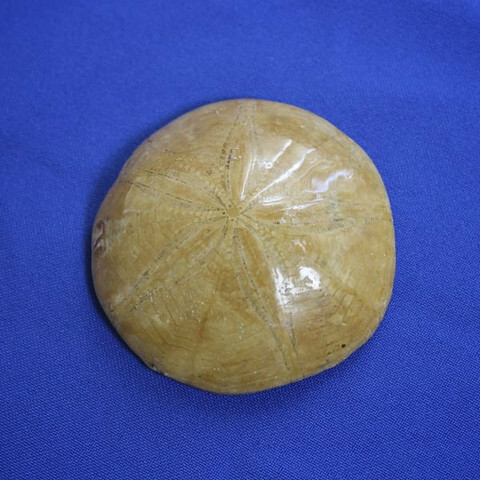 Historically however, they were found on ten Bahamian islands. In a move to protect the species, a small Bahama hutia population was transplanted to two locations – Little Wax Cay and Warderick Wells (Exumas). These three locations now host the only known populations of this particular species in the whole world”. 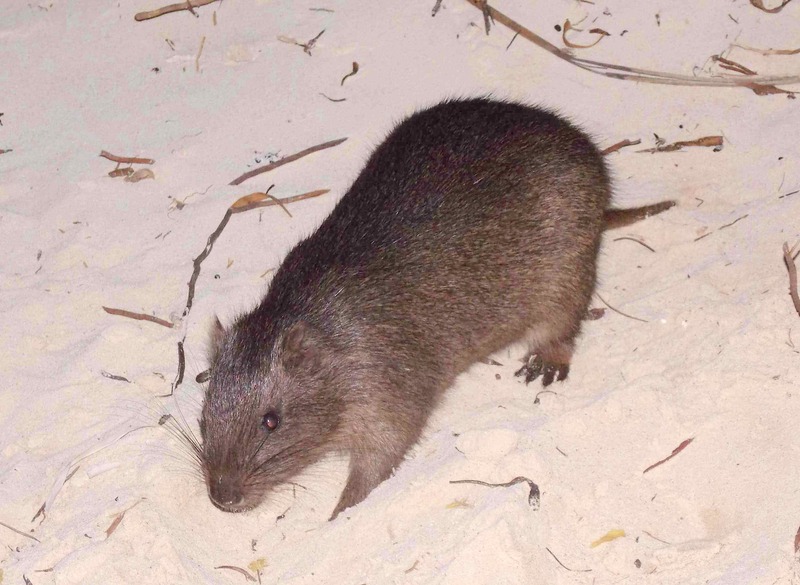 It looks as though Warderick Wells might be your best bet to see a Bahama hutia if you are visiting the Bahamas. Don’t be too confident of coming across one – but if you do see one, you will have had the pleasure of seeing a very rare creature. 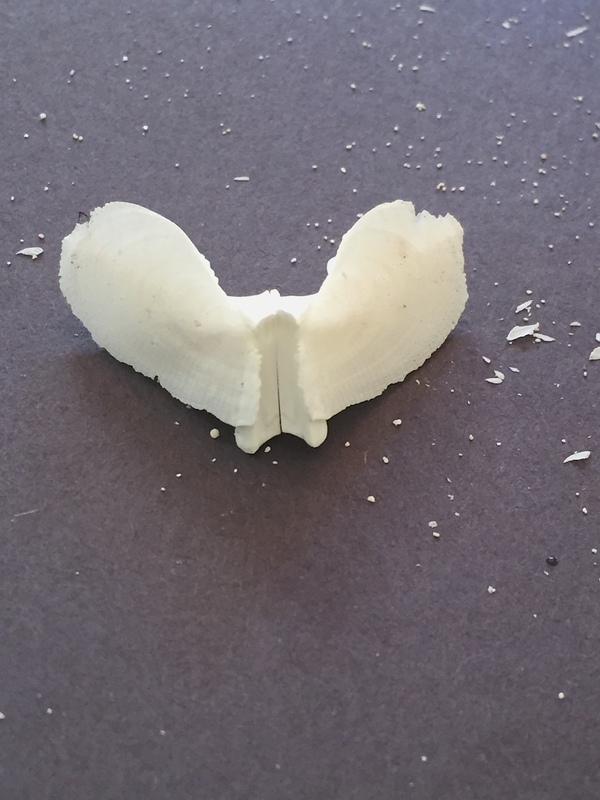 SEA BISCUITS: THEY REALLY DO CONTAIN DOVES – AND MORE! 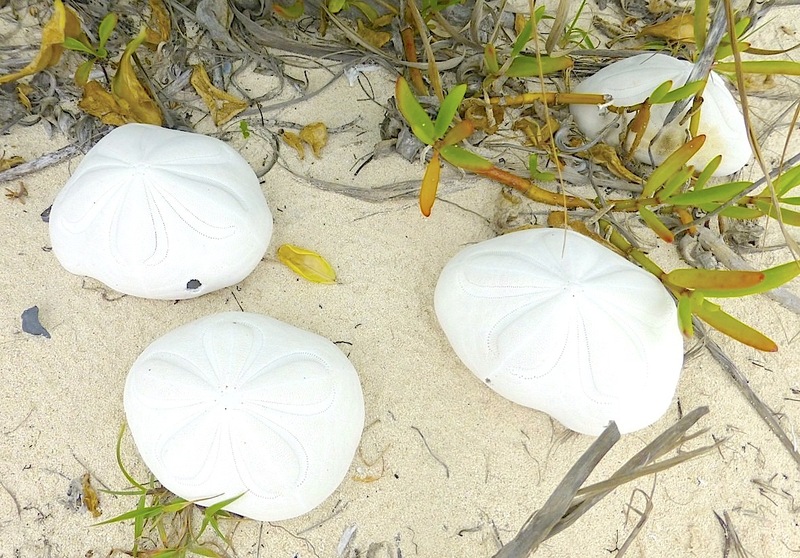 Recently I posed the question whether sea biscuits, like sand dollars contain ‘doves’. I had one in my hand, it rattled, I took a photograph through its ‘mouth hole’ and the question was answered. Biscuits do indeed contain doves – see HERE for details and comparisons with dollar doves. 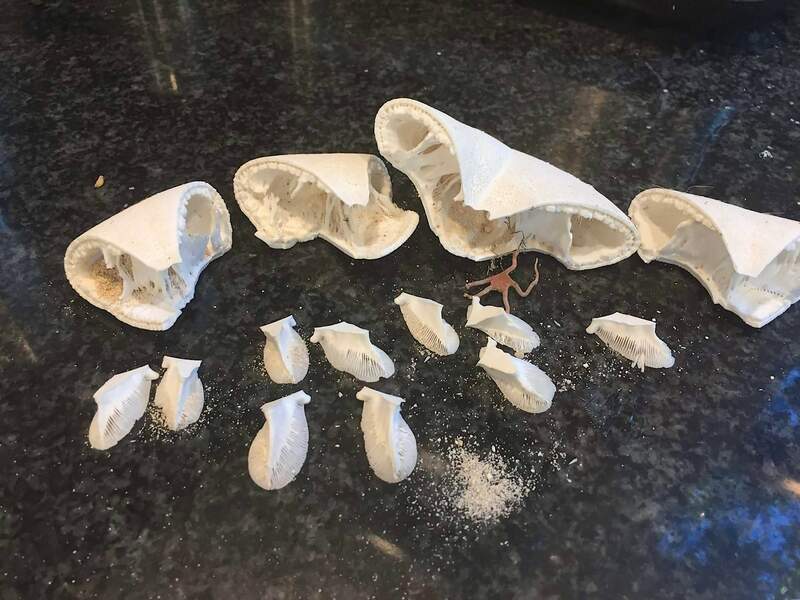 In the above picture you can see (a) 4 quarters of a sea biscuit skeleton (b) 10 demi-doves (rather than 5 whole doves) and (c) a small mummified 5-limbed brittle star that was presumably in the creature’s digestive system when it died. SEA BISCUITS: DO THEY REALLY CONTAIN DOVES? 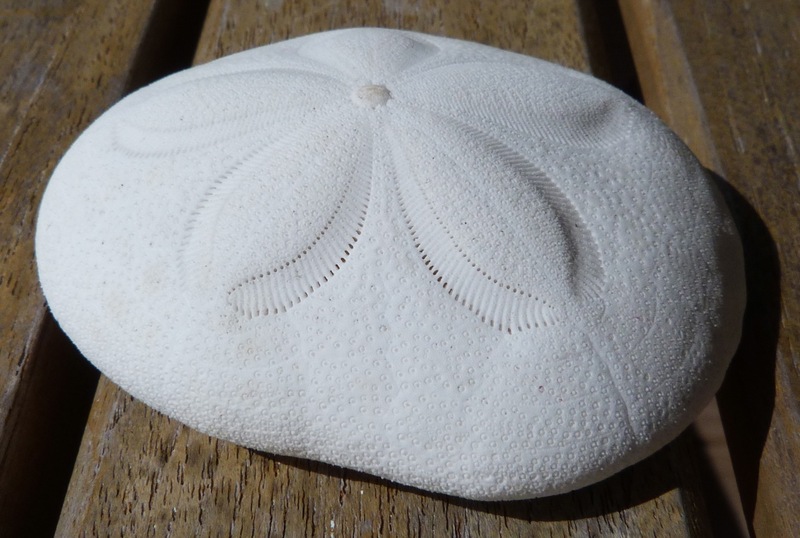 I investigated the theory with senior granddaughter, and we broke a sand dollar in half. 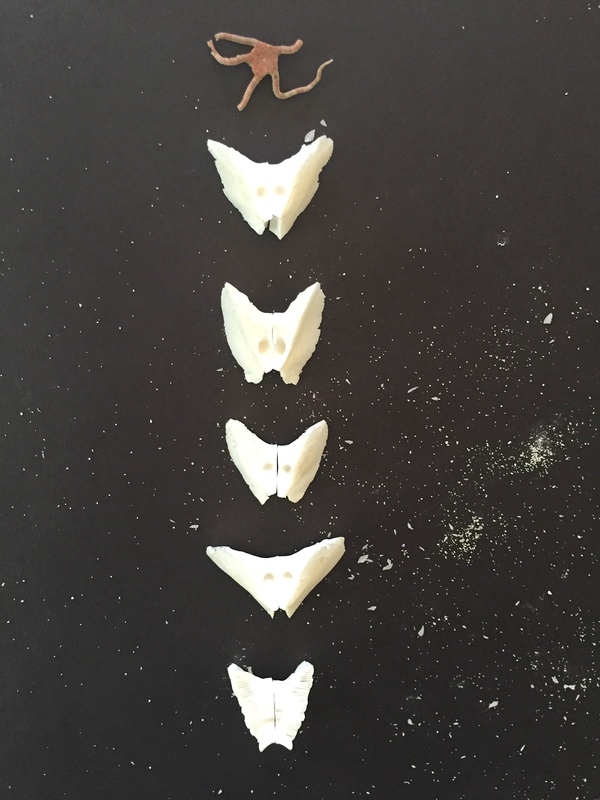 And as you can see, the answer was undoubtedly yes – there were 5 tiny white doves, thus fulfilling the prediction of the famous ‘Sand Dollar’ poem that contains the lines “Now break the centre open And here you will release The five white doves awaiting To spread good will and peace”. I never thought to extend the experiment to sea biscuits, another object prized by beachcombers. All that changed last month when I picked up a sea biscuit and found that it, too, rattled. So I turned it over to take a closer look at the underside. 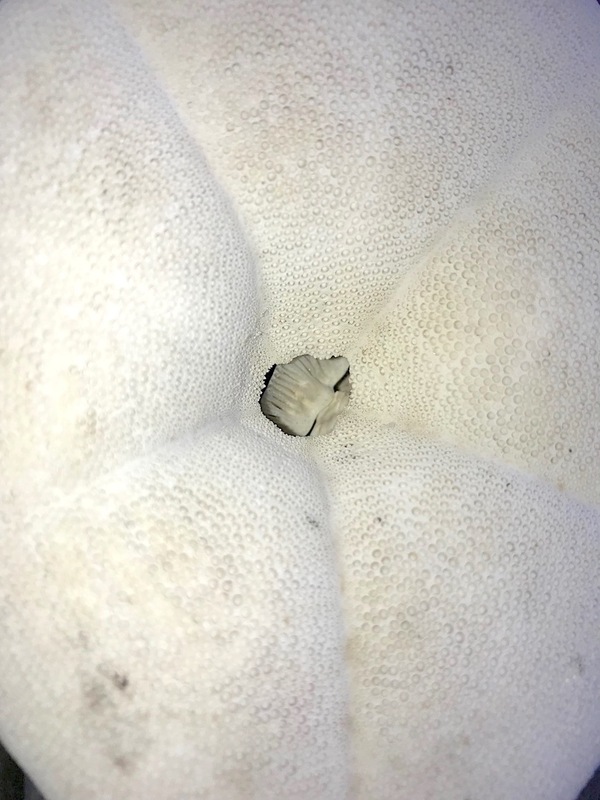 And there, unmistakably, was the source of the rattle – some kind of internal arrangement inside the feeding hole (let us not pause overlong to consider the purpose of the other hole). But it wasn’t conclusively a dove. So I shook it around a bit (sorry, doves) and zoomed in. And there was a small white columbine-type contraption remarkably similar to those found in the dollar dove. And no, I did not smash open the sea biscuit (it wasn’t actually mine). And no, I didn’t doubt any longer that sea biscuits also contain doves. SO WILL THERE BE 5 DOVES, LIKE WITH THE DOLLARS? I predict there will also be five. 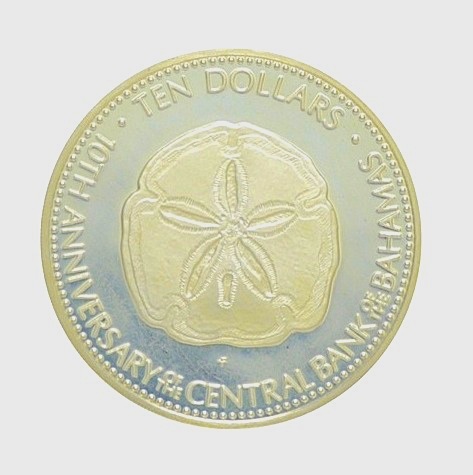 Both dollars and biscuits have ‘five-way symmetry’ (look on the topside of a biscuit or dollar to see how); and so the mouth (from which the ‘doves’ derive) will have a single part for each of the five sectors, all linked. 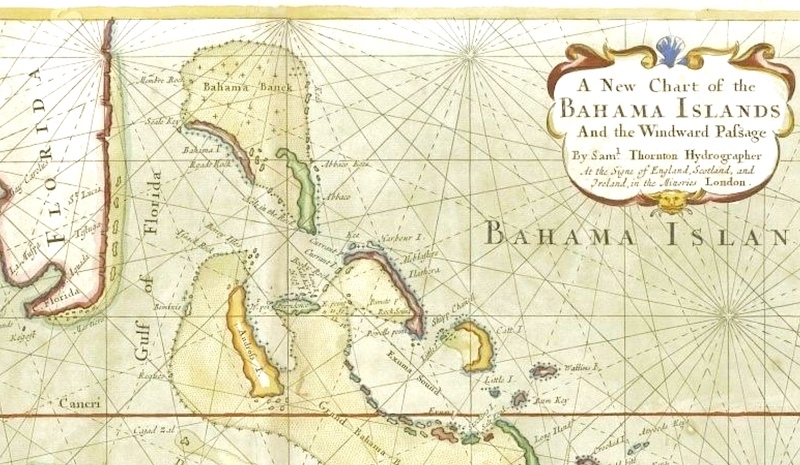 Exactly two years ago, I wrote about the publication of a lavish limited edition facsimile of Mark Catesby’s renowned work The Natural History of Carolina, Florida and the Bahama Islands in 4 volumes to mark the 300th anniversary of Catesby’s arrival in the New World. Unsurprisingly, the cost of the set was prodigious (a rather nice car) – but only a fraction of the cost of a vanishingly rare original set (a rather nice house). Reader, I didn’t buy one. 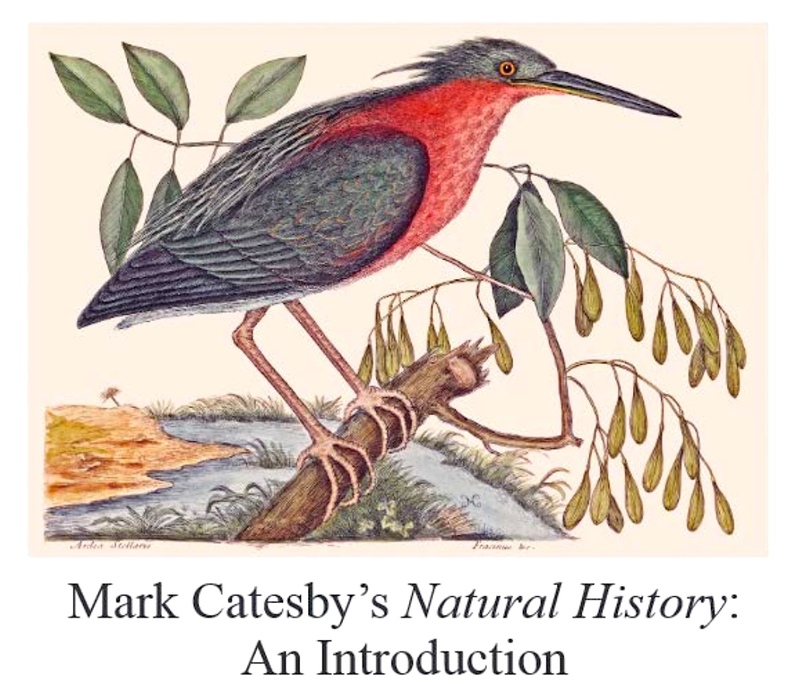 Now the CATESBY MEMORIAL TRUST has produced an excellent and inexpensive illustrated introduction to Catesby’s great work that will transport you back through the centuries to the earliest days of natural historical research by Europeans abroad. 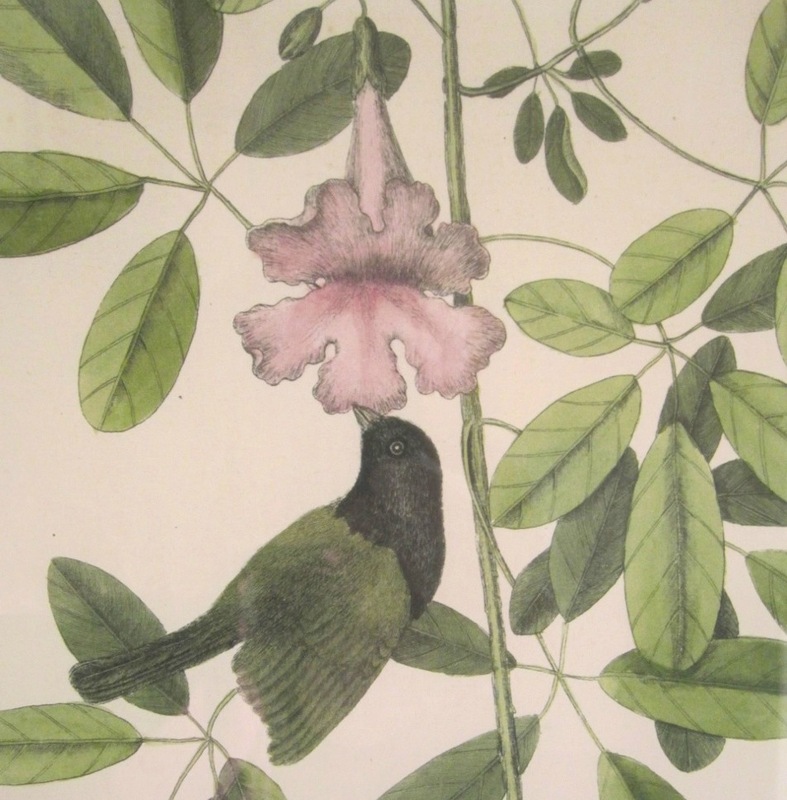 It’s worth remembering that Catesby antedated the more famous John James Audubon (1785-1851) by a whole century. 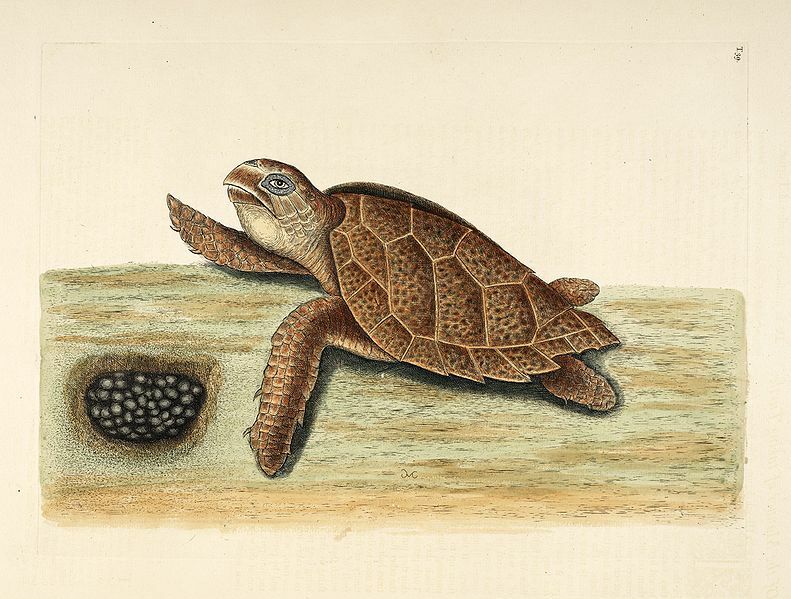 The new book has over 40 illustrations from Catesby’s The Natural History of Carolina, Florida and the Bahama Islands. These are paired with relevant extracts from the work, and there is additional commentary. 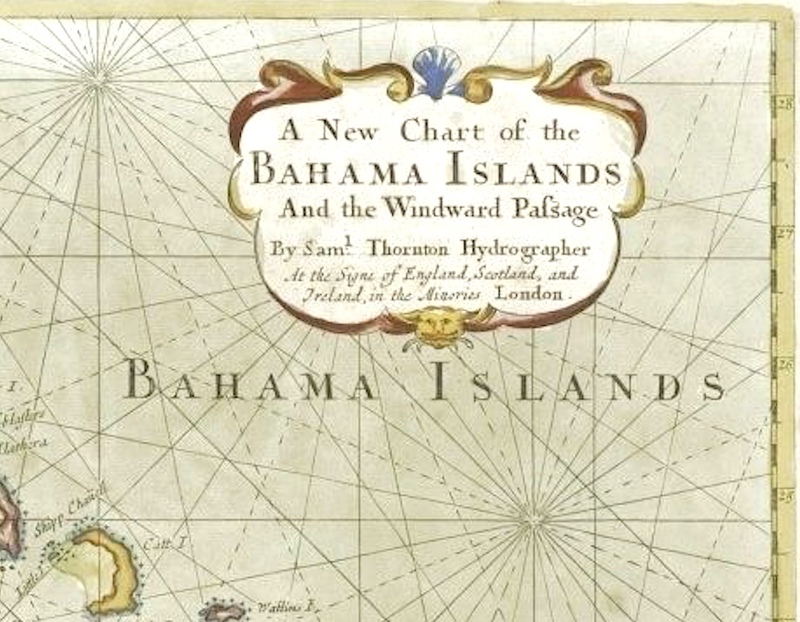 Click on Catesby’s Tropicbird below for a sample of the book. Click me for book sample! 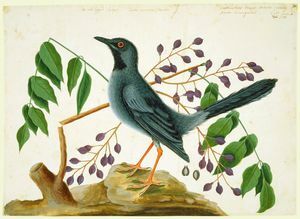 Mark Catesby (1683 – 1749) was a pioneering English naturalist and artist who published his magnum opus based on a number of expeditions he undertook from 1712 onwards. 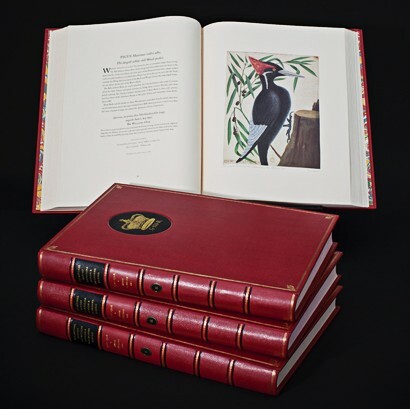 His was the first ever published account of the flora and fauna of North America, and the 2 volumes (with a supplement) included some 220 colour plates of the creatures and plants of land and sea that he had come across. 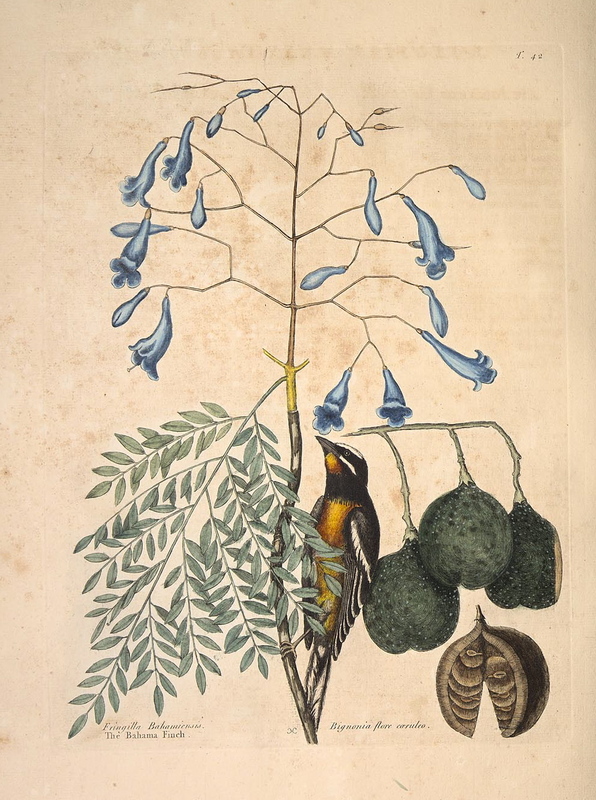 After his travels, Catesby spent some 20 years producing his masterwork and died soon after, perhaps from the sheer effort of it all. AND HIS RELEVANCE TO THE BAHAMAS IS…? 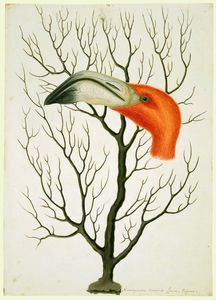 On behalf of the Royal Society Catesby undertook expeditions, first to Carolina and then more widely in America and eventually in the Bahamas. 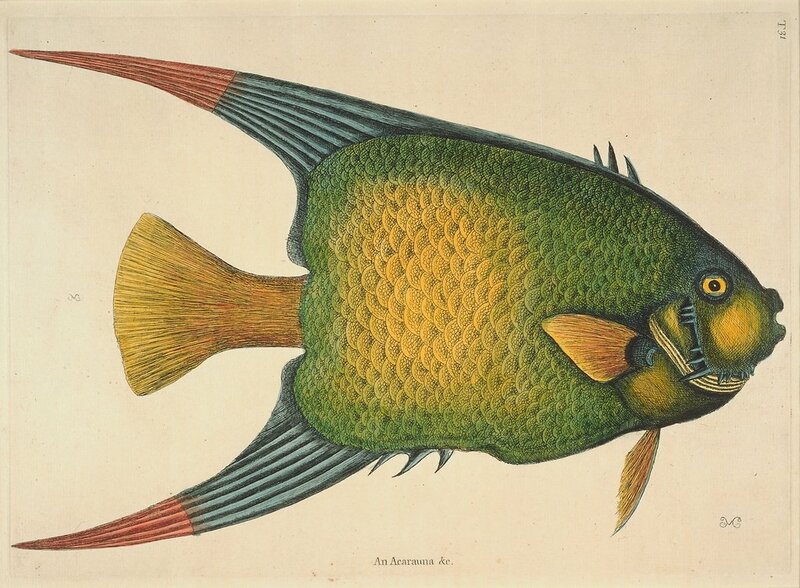 On these trips he drew and painted detailed pictures of birds, fish, turtles, flowers and corals, many of which are familiar in the Bahamas to this day – and a few of which are included here. 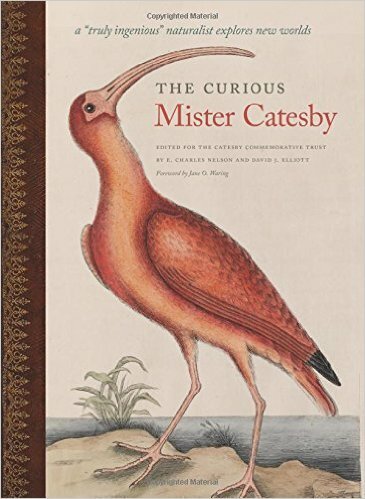 Information about the Catesby Commemorative Trust and the book The Curious Mister Catesby can be found HERE. I have the book: it is wonderful, but as an amateur I find it quite a difficult read, and I have to take it in small chunks. For anyone tempted to look further into the importance of this ground-breaking naturalist, the CCT produced a 50 minute film that is well worth watching if you are interested to know more. Echinoderms (Gr. ‘Hedgehog Skin’) comprise a large variety of sea creatures characterised (mostly) by radial symmetry, often five-way. 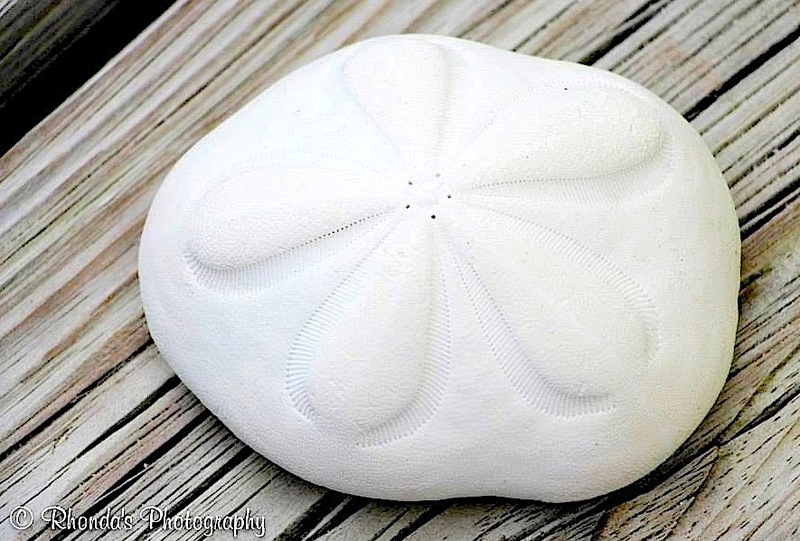 For Abaconians, the most frequently encountered are starfish, sea urchins, sand dollars and sea biscuits. I am going to look at two particular aspects of dollars and biscuits, conscious that my illustrative photos of white objects were stupidly taken against a white background. 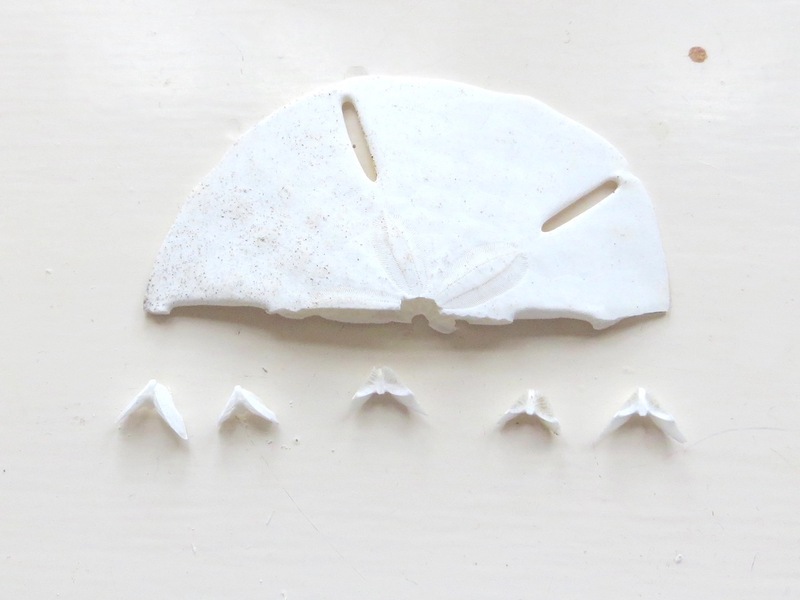 Recently, Senior Granddaughter (10 this week) was looking at some Abaco sand dollars in her unfeasibly huge collection of shells. She picked one up, shook it and it rattled. 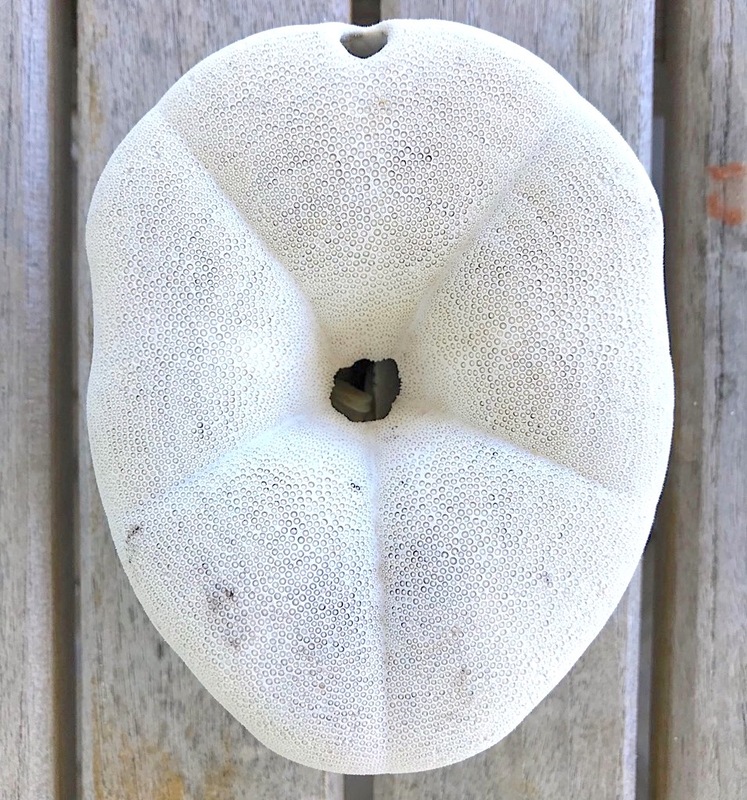 She said a friend at school had told her that a rattling sand dollar has ‘doves’ inside it, and asked if we could break it open and see. I’ve learnt that it is useless to argue with her – she has the tenacity of a trial lawyer – so we did. This is what we found. The photo below, from Pinterest, shows the ‘mouth’ with its 5 dove-parts intact, an arrangement called ‘Aristotle’s Lantern’. Florida has an unofficial but proposed State Fossil, the ‘Sea Biscuit (Eocene Age)’. I didn’t know it before, but it turns out that around 40 States have State Fossils. Whatever next? State Bacteria? The fossil biscuits I have looked at, from Florida to Madagascar, are said to come from three specific historic epochs – from the oldest, Jurassic (145m – 201m years ago), to Eocene (34m – 56m) and Pleistocene (0.01m – 2.6m).